To those who are just starting out, my advice would be "Have fun and be consistent." When you're trying to build an audience, it's important to be consistent, and continue putting out interesting content that your readers will come back for. It's also necessary to have fun. If blogging becomes more stress than fun, then I'm not sure you should be blogging in the first place. 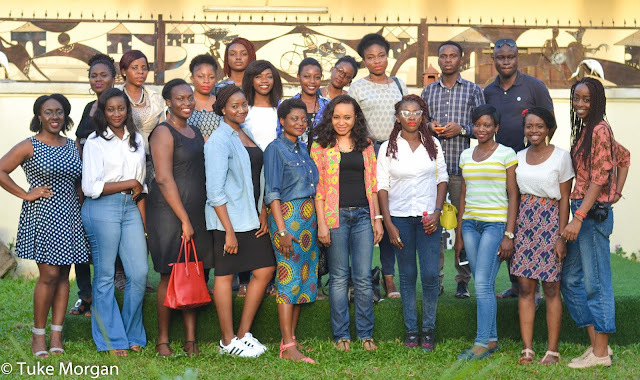 And so... here are the wonderful bloggers who came to show us some love over the weekend. NEDOUX - She got there first!!! And she's such a sweet soul. And she's a "Sewista." Think about the word Fashionista... someone who likes fashion... she likes sewing. EBONY DUCHESS - She enjoys sewing just like Nedoux but wants to be (or already is) a Fashion Designer. DAVID ADELEKE - He has a personal blog, but also contributes to a Tech Blog. Is it me or are there more female bloggers than male? DIARY OF A FASHION ENTHUSIAST - She wanted to win ALL the giveaway items :p. She's a very nice girl though, and she ended up winning the box of cupcakes because it was her friend's birthday. LIFE'S TREASURY - Uju is an Inspirational blogger, and also a motivational speaker. She writes and shares inspiring and positive posts so others can learn and shine! 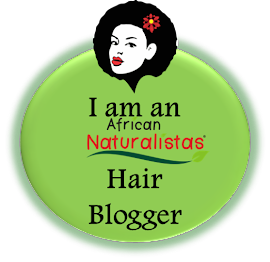 IN SEARCH OF PERFECT HAIR - Also named Uju, she says if you visit her blog and leave a comment, it's like coming to her [online] house. Which is inspiring a blog post from me later this week, btw. Oh, and she was recently called to bar. Congratulations! 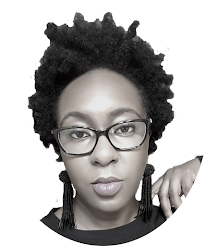 AKA GLUE - Amaka runs a blog about personal finance and being thrifty. Aka Glue is a play on the Igbo phrase, 'Aka gum" that means tight-fisted. Fun fact - I met her during the TW Fitness Challenge 2 years ago and we've remained friends. TONYE IGBANI - Guess what? She's a builder!!! She broke down the difference between architects and builders. I seriously just assumed the architect was in charge of designing and getting structures built. DOH! MIRA LA BELLE - Ijenna is studying Physiotherapy, but is also a Fashion Blogger and Photographer. I think her blog persona and her real-life person are so different!!!! She's pretty quiet in real life, but seems to just need a little nudge to open up. Meanwhile, on her blog she's very fierce! Thanks to Tuke for reminding me of some of the blog names. If I forgot to put your link, please send me an email [berrydakara@gmail.com] so that I can update the post. I'm pretty sure I'm forgetting one or two. Aww, really nice!!! Thank you so much guys for coming out. Lol, I had Tuke's help to remind me. And hey, do you take photos? Then you're a photographer!!! Lmao! What can I say, I'm a winner (even if I have to beg to win...lol). She's my sister and her birthday was on Tuesday, I'm glad I won her cupcakes 'cause I was sorta broke. Thanks for having us, we had a lot of fun and learnt a lot too. It was very nice meeting you guys and all the other guests. LOL @ beg to win. Aww, well happy birthday again to her. I hope she enjoyed them. It was nice meeting you both. You are such a sweetheart, so kind of you. Ah, thanks for noticing. She changed her blog address. Will update in a bit. No one I know came, wow. Yeah, I think there are more female bloggers. Why? I can't say. But I'm pretty sure the blogosphere needs more guys. I was the only male blogger at TBC Connect. Choi! Looking forward to next year's edition o! Four Points maybe? AMEN O! Four Points are you hearing?!?!? I wasn't invited and I wonder how I miss this! Perhaps maybe I'm the upcoming ones. Thank you guys for having us, they was lots to eat that I could not eat. It was funnnn, didn't regret spending time there after work. Thank you Berry! Was mighty glad I attended the event. Got to meet other lovely readers & bloggers.